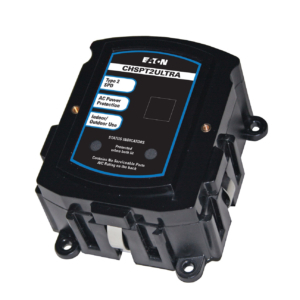 Complete Home Surge Protection (CHSP) protects the sensitive electronics throughout your home. This type of surge is installed at your electrical service panel, which gives you the advantage of reducing harmful surges before they travel to your individual electronic devices. What type of protection is available? Eaton’s line of premium surge products offers a Limited Lifetime Warranty and the industry’s best $75,000 connected equipment warranty. Built to the most stringent industry standard (UL1449). Why should I buy Eaton’s Complete Home Surge Protection? Superior protection for your home electronics. Industry’s most complete line of products.